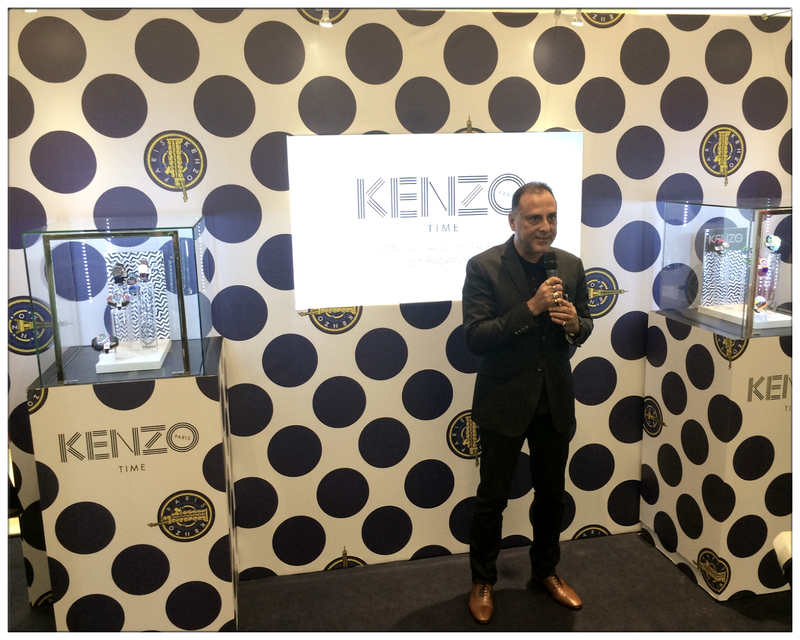 International Luxury Group as the official licensees for Kenzo Time, has announces the appointment of a.d. time sdn bhd and now Kenzo Time is officially launch in Malaysia! Ever since 2011, when Humberto Leon and Carol Lim was been appointed as creative directors of Kenzo, the label has been injected so much energy and lively spirit that Kenzo is everywhere when it's about Parisian fashion scene. 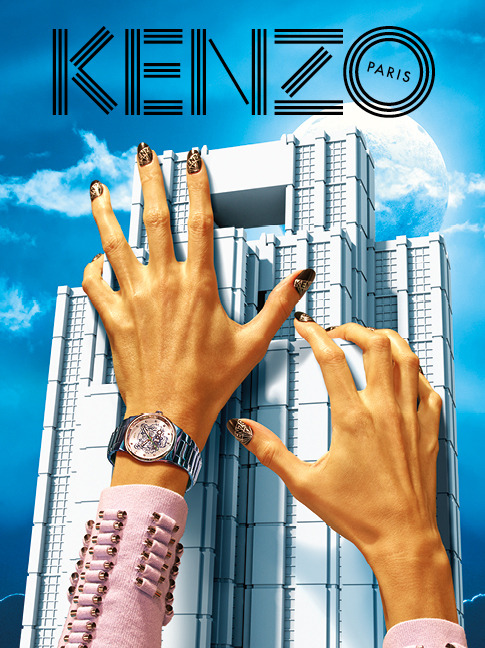 Kenzo style is now more personal, rules breaking and unique identity with a hint of pop culture from the 70's style. The unique fresh idea of the duos has instilled into Kenzo timepieces as well, we were surprised by how awesome and good-looking the timepieces are! 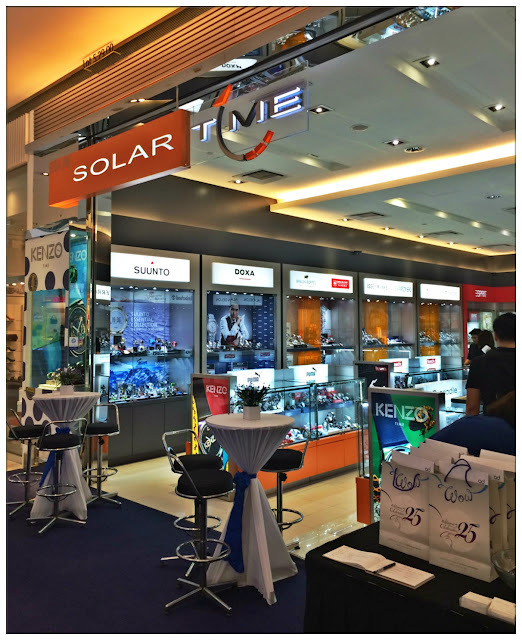 The launch took part at Solar Time, Pavilion KL. 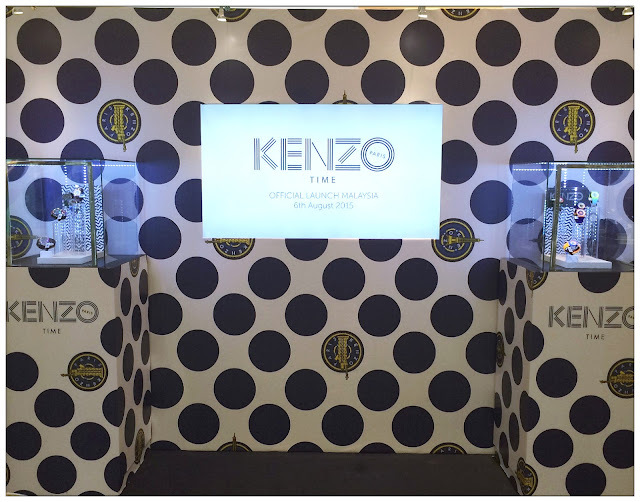 Kenzo Time is finally here on Malaysia soil. 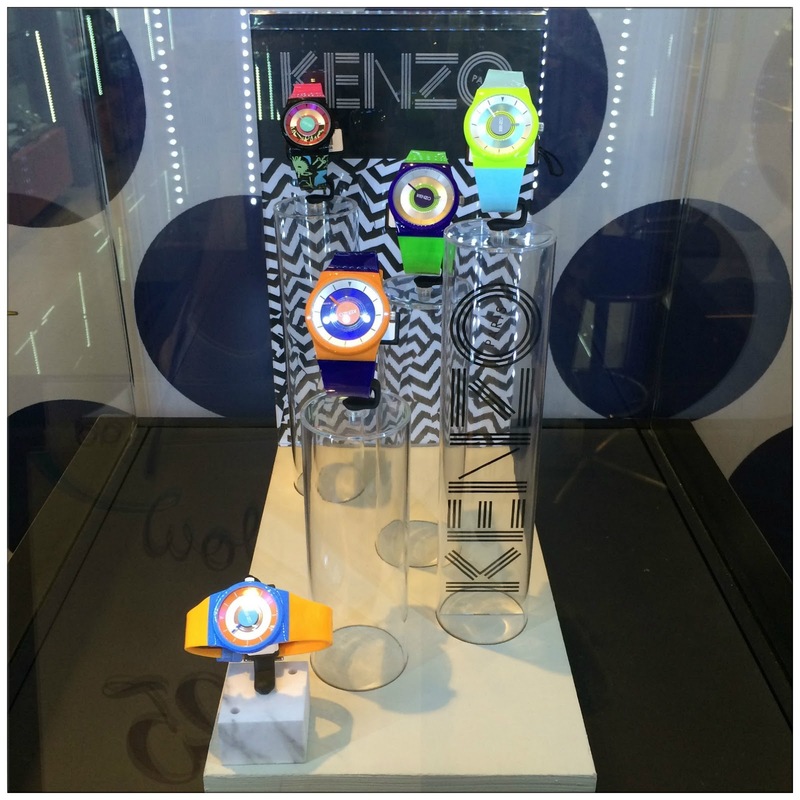 Divided into four categories of design, I can't stop looking at all the Kenzo timepieces. 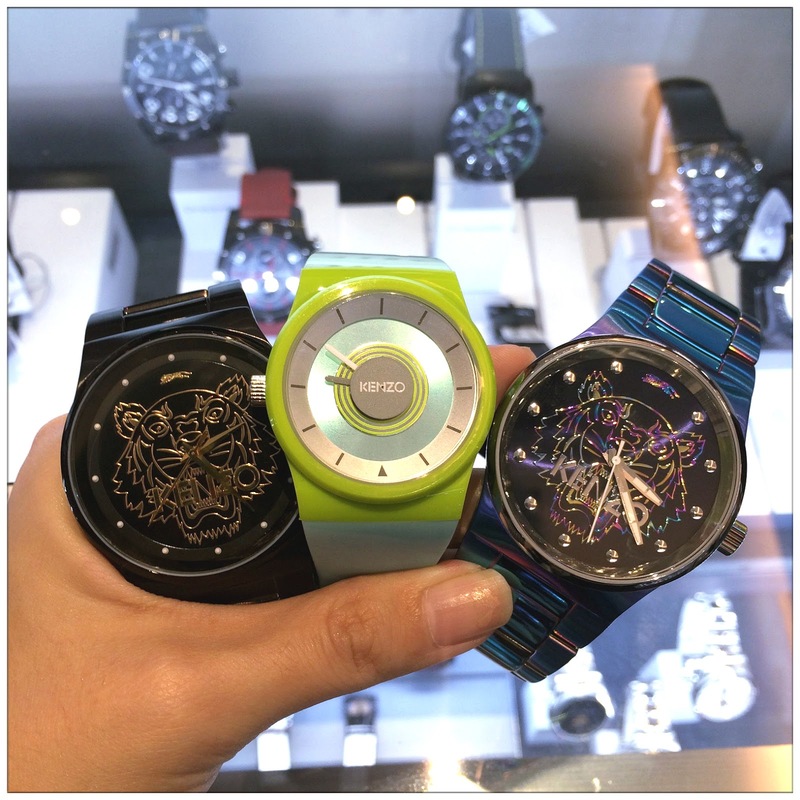 From the iconic Tiger Head that shows how daring and unstoppable the design is, to Kenzo Goes Pop, an explosion in the world of colours on your wrist, then the kenzO series which the centre stage was taken by a perfect circle and unique play of colours and lights as time goes by, which is a house specialty design. Last but not least, Dix Huit series which origin from the address of Kenzo's Headquarters when they moved into their new home at 18 Rue Vivienne in Paris in year 2009. 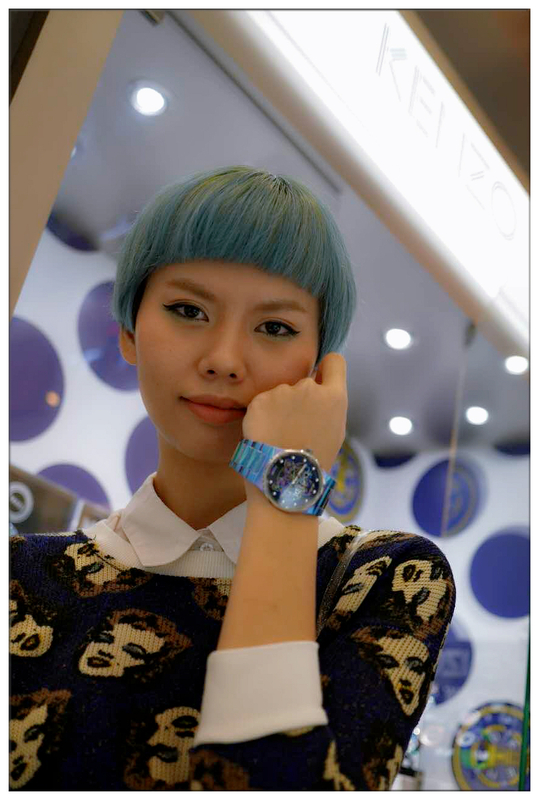 Comes in different hue, blue and pink! Tiger Head series in Black and Gold. 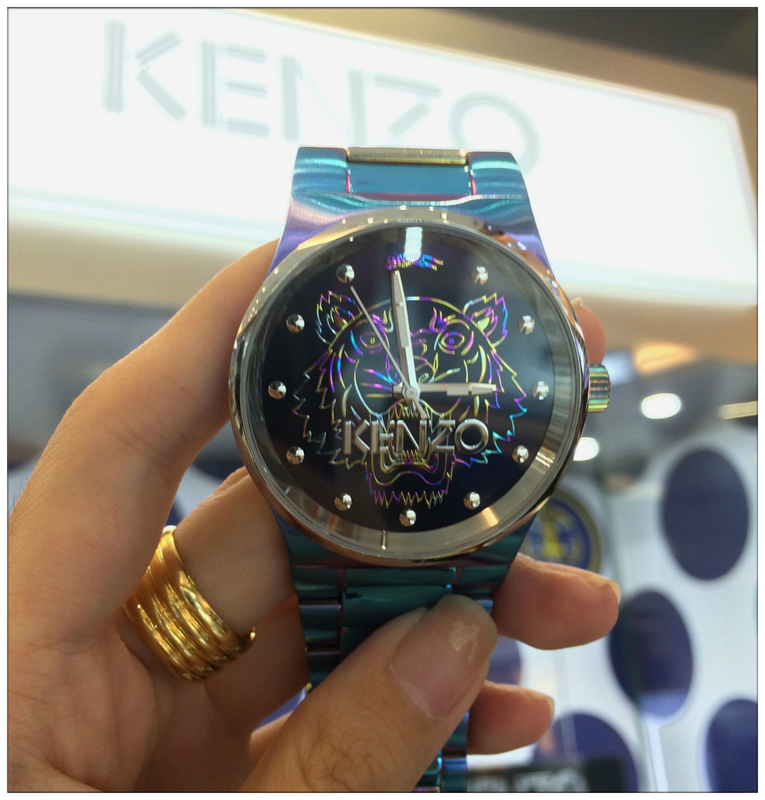 Definitely a must-have for Kenzo fans to go with almost any style! 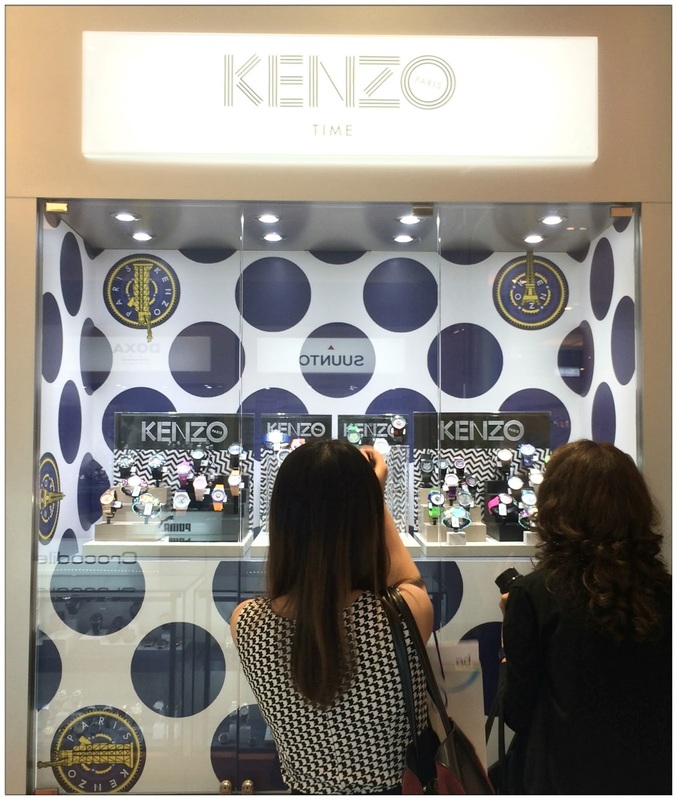 Me and Jean arrived the venue quite early that day and while waiting for other guests arrival, we are able to have a closer look, or even try-it-on of any Kenzo timepiece that we like to try! There are so many colours and designs to choose from. My favourite are the iridescent Tiger Head series with metal straps. 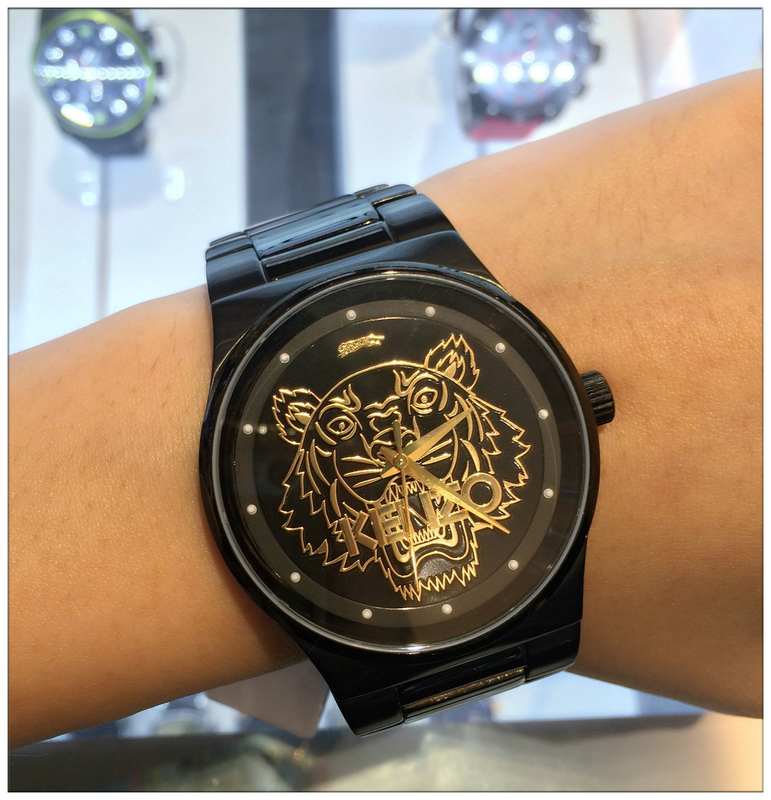 Metal watches of Kenzo's Tiger Head series comes in rose gold as well, now you can be daring and feminine at the same time! On the launching day itself, we were honoured to have Mr. Rajiv Mehra, the Regional Sales and Marketing Director of Fortune Concept Ltd. which is a member of International Luxury Group, to gave us a short introduction about Kenzo timepiece. 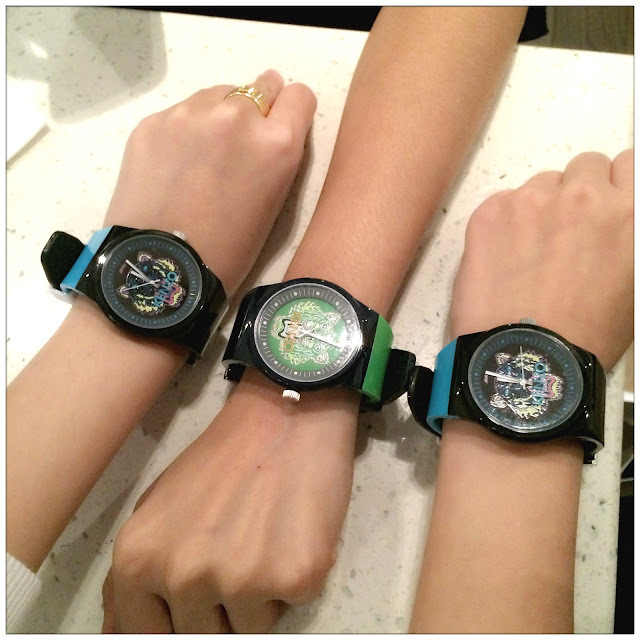 He's such a humorous guy, he even showed us his favourite watch design from the collection. 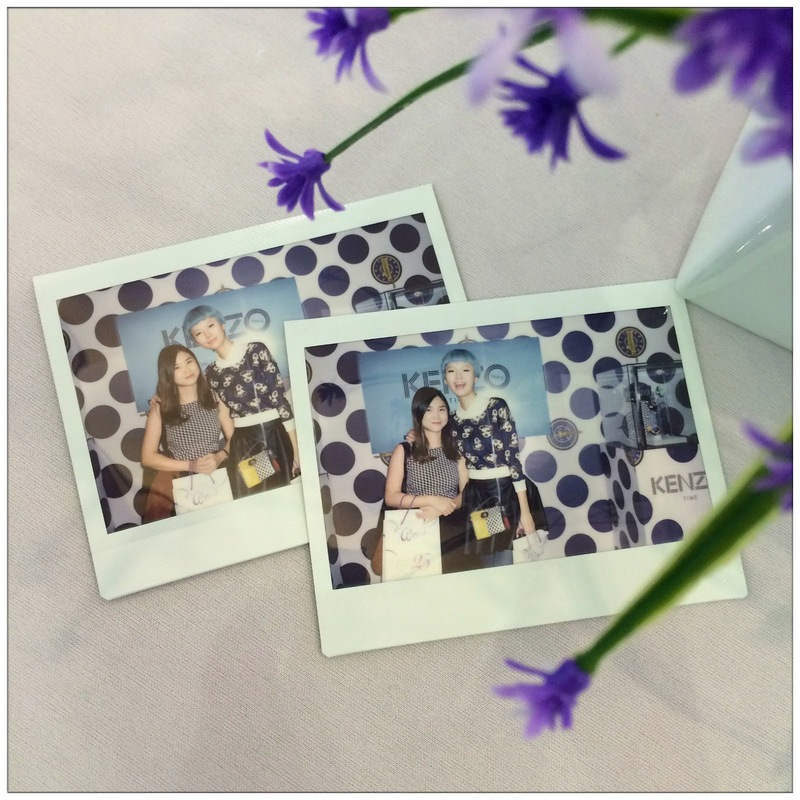 Kenzo Time, finally arrived in Malaysia! 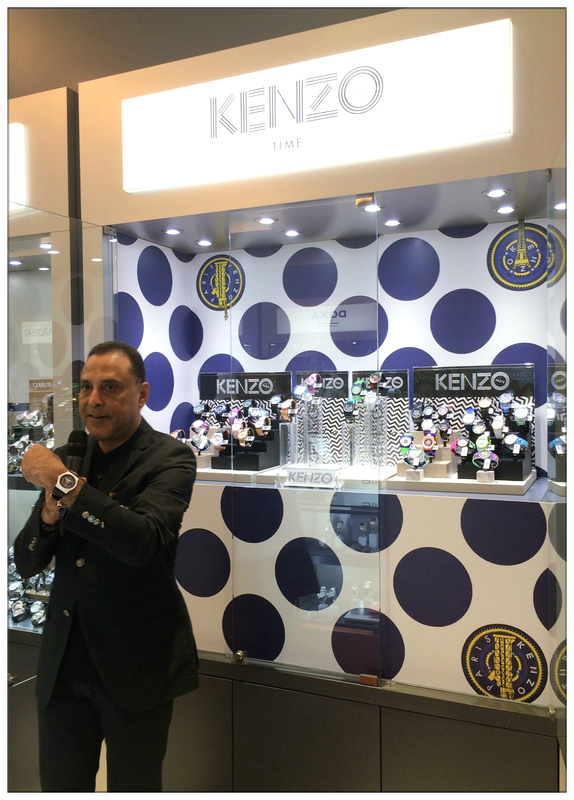 a.d. time sdn bhd, partnered with International Luxury Group for Cerruti 1881, ESCADA, Swiss Military Hanowa and Timberland watches, once again strengthen their partnership with the distributions of another brand - Kenzo Time, through its established dealer network and retail store. Are you girls gonna shop for next Kenzo watch already? 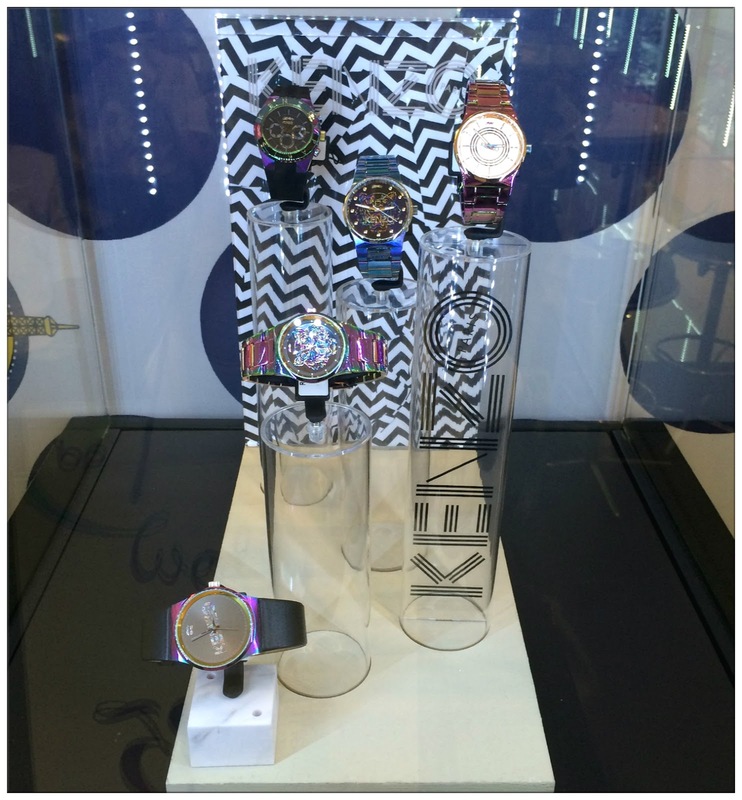 Thank you a.d. time sdn bhd and Kenzo Time! 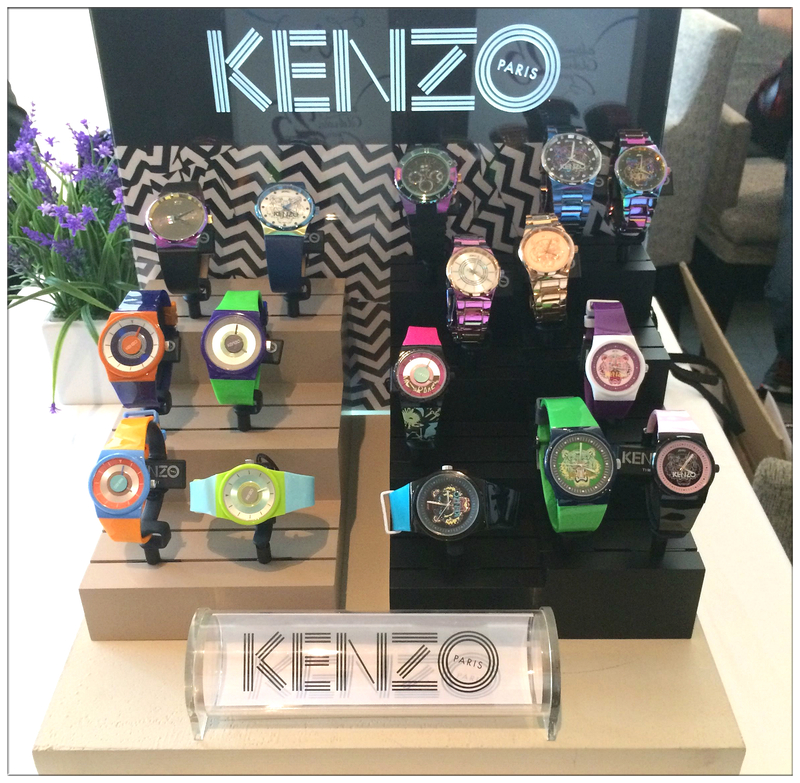 Kenzo Time is now available in selected SOLAR TIME and TIME COUTURE boutiques in Malaysia.